When you sort the pieces that arrived in your mailbox today, take a good look at the return addresses. Most of the mail you received wasn’t printed by the company whose name appears in the upper left-hand corner. Instead, it was manufactured – and probably mailed – by a print-mail service provider (PSP). Granted, there are still intrepid in-plants faithfully producing high-quality and cost-effective mail for their organizations. However, even they may outsource components or entire mailings to a PSP. For example, glossy buck slip inserts, or one-time bound books, or sporting event tickets that require special ink for a holographic logo. Even some PSPs outsource their marketing mail. Smart companies use the Request for Proposals (RFP) process to select the best vendors. A team developed a list of criteria and compared proposals. After careful vetting, one lucky company is awarded the bid. Now begins the contracting process. There must be consequences if the vendor doesn’t adhere to the SLA, and that’s best accomplished through penalties. For timeliness, the most common standard is that the PSP will meet the stated goal almost all of the time, usually between 95% and 98%. Reprints and unexpected machine downtime make the 100% goal almost impossible to achieve. However, no errors should be allowed in the rest of the process. Quality control procedures – supplemented by software, barcodes, and cameras – should prevent the other defects. There should be a penalty attached to every piece that doesn’t meet the standard. Part of quality control is proper testing – by the vendor and the client. For many documents, the client may accept PDFs of the output, or samples shipped to their office. Sign-offs, physical or digital, are required at each phase. When moving work to a new PSP, or introducing a new type of document, the client should conduct final testing on the vendor’s production floor. A sample run, consisting of an average day’s work, should be printed, inserted, and reviewed by the client’s representative. This is especially important for merged mailstreams and householded documents. Most contracts include a quarterly performance review, either in-person or via web conferencing. The PSP and the client examine key metrics for the last 90 days and the year to date. These reviews are important and should be taken seriously. It’s just as important to add a “right to audit” clause to the contract. An audit is more than a visit or quarterly performance review. An audit usually requires a multi-day site visit by the client or their representative to monitor operations at times with significant volumes of print, mail and fulfillment. During the visit, the auditors examine documentation, review software and workflow, inspect security controls, and interview select employees and management. If possible, the auditor will follow a production file from receipt, to print, to insert and presort. 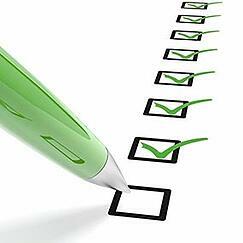 The audit report will note any deficiencies, associated risks, and recommended remedies. The PSP should be asked to formally respond to the audit, with written explanations on how – and when – they will implement changes to overcome the deficiencies. A follow-up meeting is scheduled to review the vendor’s progress. For decades, it’s been a standard practice that vendors include “mandatory minimum volumes” to guarantee pricing. From their point of view, it makes sense. The PSP needs to invest in the right staff, equipment, and material to produce their clients’ work. They want to know that they can pay off the investment. We live in a time of technological shifts that change the way we communicate. Since 2012, the volumes for Presort Letters have dropped 12% - that’s the mail companies send to their customers. Some of that is due to electronic diversion, but there have also been other reasons. Companies have developed ways to lower volumes – decreasing the frequencies of mailings, householding across business lines, and combining different documents into a single mailing. For example, healthcare companies used to send out Explanations of Benefits daily. That moved to weekly, allowing for the householding of notices to the same insureds. Some payers are considering bi-weekly or monthly mailings. The same companies used to send out one envelope with identification cards, and another with a booklet summarizing benefits. Today, those documents are either merged in the print stream or on the inserter to go out in a single envelope. Predictability is a thing of the past. It’s near impossible for managers to forecast what technologies or policy shifts will impact their mailings. Vendors will need to become more flexible in their pricing schedules. Print and physical mail are an important part of customer communications. Some of this work will remain with in-plants, and some companies will choose to partner with reputable PSPs. An equitable contract – with well-defined SLAs, penalties, testing, audits, and pricing – will benefit the vendor and the client.